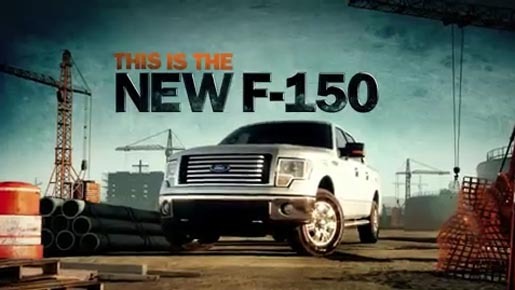 Ford is rolling out new installments of its 2011 F-150 pick-up ads as part of a broader print and multimedia marketing campaign that builds on the popular “rant”-style campaign it debuted in 2008 and continued with Super Duty campaign. The 30-second TV spots, featuring the voice of comedian Denis Leary, Leary, in a curt, snarky tone, extols the truck’s selling points. “Hey, here’s a little good news,” Leary says. “If you want decent mileage in a pick-up truck, you don’t have to order your engine off the kiddie menu anymore.” Ford introduces four new engines 3.7L V6, 5.0L V8, 6.2L V8 and an Ecoboost with online videos at ford.com, and is taking the EcoBoost-equipped trucks on tour, giving truck enthusiasts a chance to try them out in 50 cities.